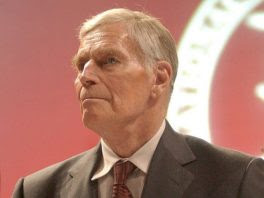 LOS ANGELES - Charlton Heston, who won the 1959 best actor Oscar as the chariot-racing "Ben-Hur" and portrayed Moses, Michelangelo, El Cid and other heroic figures in movie epics of the '50s and '60s, has died. He was 84. In June 1998, Heston was elected president of the National Rifle Association, for which he had posed for ads holding a rifle. He delivered a jab at then-President Clinton, saying, "America doesn't trust you with our 21-year-old daughters, and we sure, Lord, don't trust you with our guns." Heston stepped down as NRA president in April 2003, telling members his five years in office were "quite a ride. ... I loved every minute of it." Later that year, Heston was awarded the Presidential Medal of Freedom, the nation's highest civilian honor. "The largeness of character that comes across the screen has also been seen throughout his life," President Bush said at the time. Heston lent his strong presence to some of the most acclaimed and successful films of the midcentury. "Ben-Hur" won 11 Academy Awards, tying it for the record with the more recent "Titanic" (1997) and "The Lord of the Rings: The Return of the King" (2003). Heston's other hits include: "The Ten Commandments," "El Cid," "55 Days at Peking," "Planet of the Apes" and "Earthquake." Andrew Jackson ("The President's Lady," "The Buccaneer"), Moses ("The Ten Commandments"), title role of "El Cid," John the Baptist ("The Greatest Story Ever Told"), Michelangelo ("The Agony and the Ecstasy"), General Gordon ("Khartoum"), Marc Antony ("Julius Caesar," "Antony and Cleopatra"), Cardinal Richelieu ("The Three Musketeers"), Henry VIII ("The Prince and the Pauper"). Labels: Death, Entertainment, Hollywood, Movies, U.S.